It took me a long time to appreciate Kirby. The one on the left *is* lovely. I'm not saying "worse -> better", just that Kirby's is thinking-outside-the-box lovely. But the impact is undeniable. 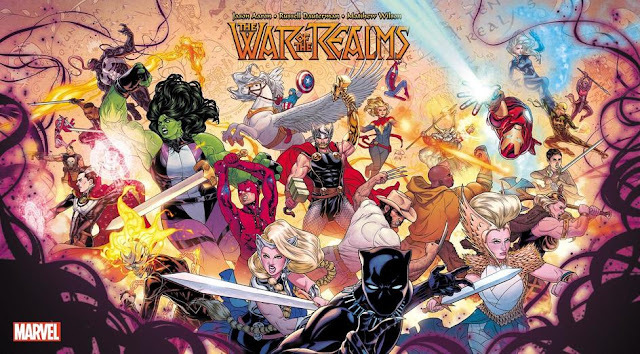 Before Kirby, there was a set of rules, emphasizing clarity over power. After Kirby, clarity isn't sacrificed, but power, the unorthodox, and scope were given the attention they needed. 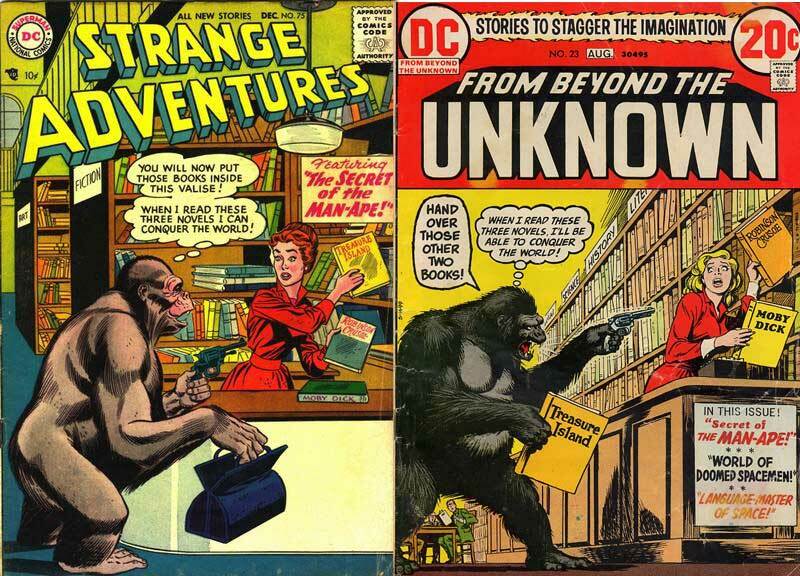 And to close that off, here's two covers featuring a Man-Ape stealing three books from a library. 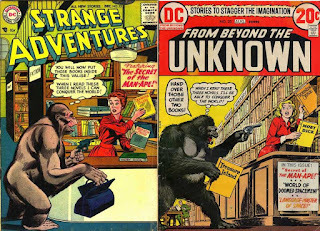 One was drawn in 1956, before Jack Kirby revolutionized comics. The other was drawn in 1973, after the Marvel/Kirby revolution. Can you spot the difference? Happy birthday, Jack. Long live the King.